I’ve had a love affair with Hourglass cosmetics for some time now since I first attended their store opening in Venice last Summer. The brand has long been known for one of my personal favs, the Vanish Seamless foundation Stick. (it’s been one of my top go to’s for photoshoots and day to day wear since I tried it last year). 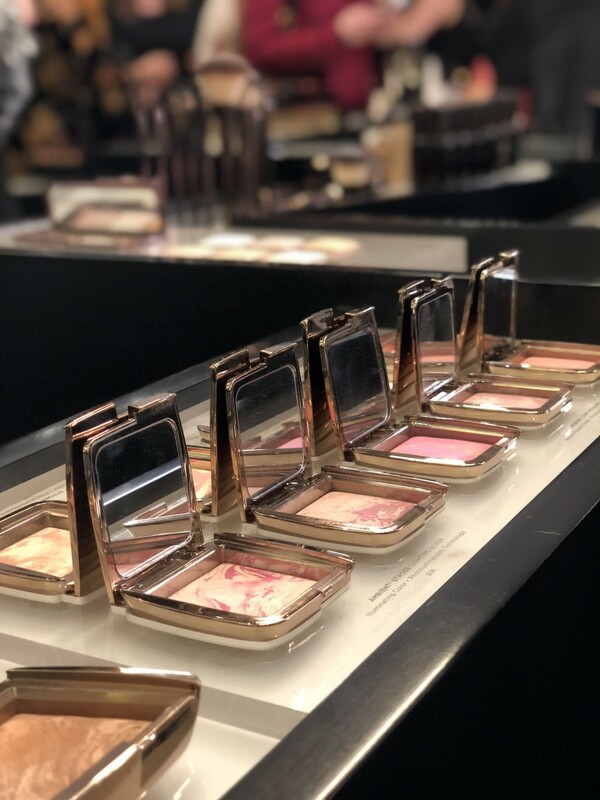 Last week, I was invited back to their Venice store to try play with some of their new products and they recently an awesome highlighter in a creamy stick form just like their Vanish Foundations! Personally I LOVE the formula and the fact that the stick comes in FIVE of the coolest colors that everyone is sure to wear. And quite honestly, I had a hard time chosing just one. 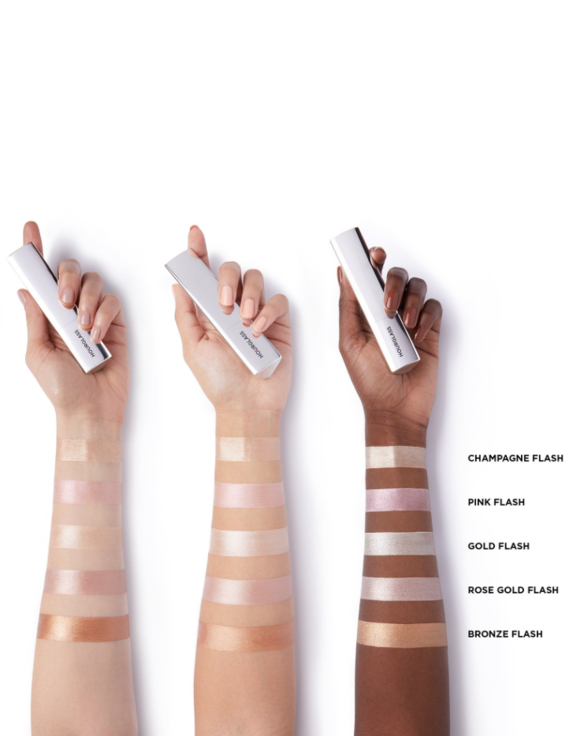 With options like Champagne Flash, Pink Flash, Rose Gold Flash and Bronze Flash they’ve got just about everyone covered. Also, these colors mix flawlessly together so you can wear them at the same time without looking like a disco ball. These stunning highlighters are totally worth the $42 price tag! You can shop them here in all five shades and shop some of my favorites from the line like the primer! I can’t wait to try this highlighter and I love the bodysuit! Does Sephora carry it? Oh, those look absolutely amazing! And I loved your “kimono” as well, I’ve been coveting one for a while but haven’t had the guts to wear it, to be honest. 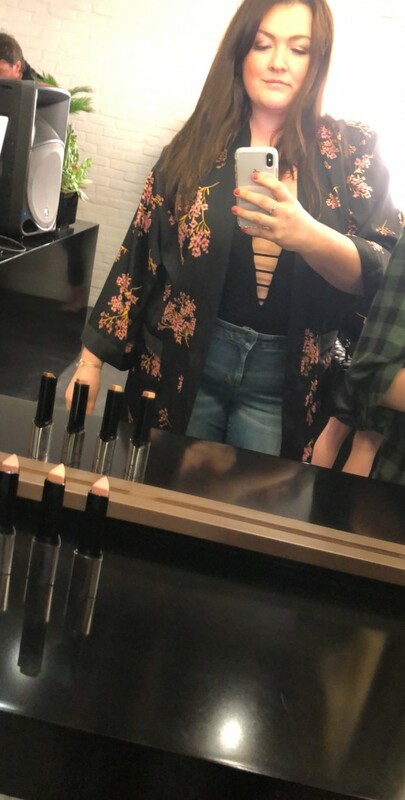 Always afraid us curvy girls are going to look odd in one, but girl, you pull it off AMAZINGLY!